I was going through some old videos, and came upon this cool one of a Junglerunner (Ameiva ameiva) chowing down on termites. 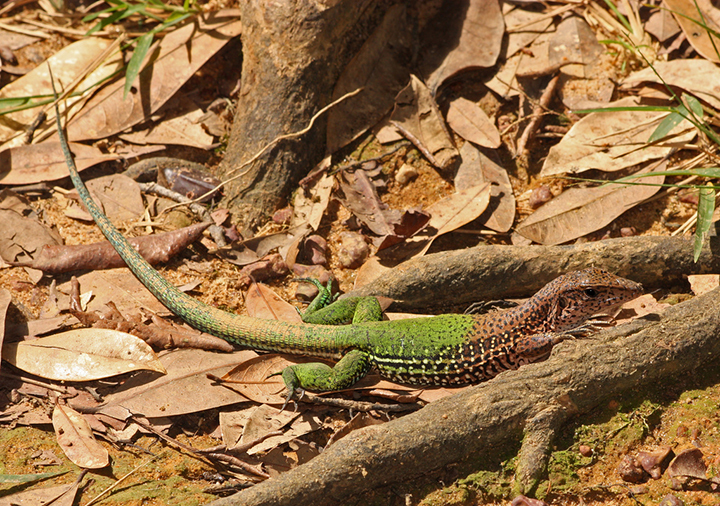 These amazing lizards are related to the Tegus, and are almost the New World equivalent of the monitor lizards. I was never able to catch any of these lizards, but we did see some get trapped by researchers. Amazingly, they are very gentle to handle, unlike their cousins the Tegus, which are reportedly very willing to bite. Anyway, hope you enjoy the video! We need these in Florida! Holy Cow! Up to 2 feet long. I have NOT seen one of these, but will be looking for it!